TLC Social Services, LLC staff consist of individuals who can align themselves with the TLC Services vision and of the SDRC. Our staff operates by upholding all policies and procedures, to make sure the quality of service provided are never compromised. I possess eight plus years of experience as an Assistant Director of Programs & Services, Senior Supervisor and Independent Living Counselor. These positions have provided me the opportunity to build a strong track record of success in program leadership, service delivery, and community relations development. In addition to my well-honed interpersonal and communication skills, positive attitude and dedication, I have familiarity with services and established resources. My experience has allowed me to work with many adults and children from different ethnic backgrounds, providing assistance to individuals assigned to community service, as well as the elderly. My profession, has given me the opportunity to work with our client base, and it gives me pleasure to know I can provide much needed assistance to individuals who turn to the Regional Center for services. My career thus far has not only taught me valuable lessons about life, but has also reinforced my interest in making a difference in our community. Hence, TLC Social Services LLC was created. I am very comfortable having accountability for an organization and effective use of its resources. I am confident in my ability to contribute positively, as a vendor for the San Diego Regional Center. P.S. Mother and proud wife of retired Navy personnel. 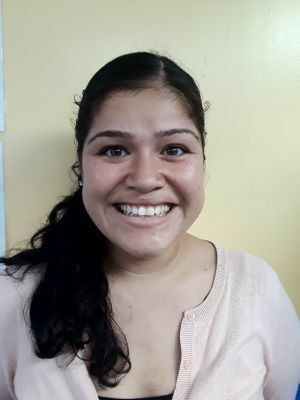 Karolyn is an Independent Living Skills (ILS) Provider, Resource Counselor (RC) and the Program Director who works generally with clients with disabilities as well as their family. Karolyn provides training for clients in developing, maintaining and improving their community living skills. Karolyn identifies needed areas of development such as communication, self-care or interpersonal skills. As a Program Director, Karolyn oversees the coordination and administration of all aspects of an ongoing program including planning, organizing, staffing, leading, and controlling program activities. 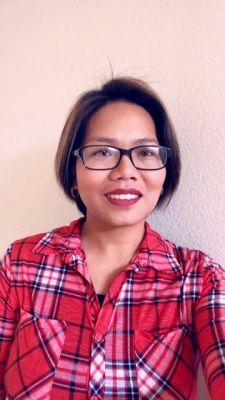 Karolyn worked as a Public Service Staff at the City Government of Olongapo in the Philippines for 9 years and 2 years in Travel Industries where she honed her skills in providing excellent customer service and effective interpersonal communications. AB 1432 – California School Personnel and Standard - CPR / AED (Adult / Child / Infant)Automated External Defibrillator (AED) certified. Jerla graduated as Bachelor’s Degree major in English. A Service Scholar. She speaks English, Tagalog and Spanish. Had previous experienced as Library Student Assistant for 3 years. Where she analyzes clients' requests to determine needed information and assist in furnishing or locating that information. Jerla worked as a Computer Data Encoder for 2 years, Secretary for 1 year. Where she operates computers to produce a variety of documents, charts, and graphs in final form. Compiles and maintains records, statistical information, and reports. 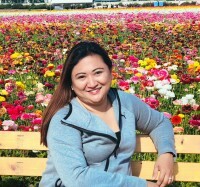 Jerla also worked as a Franchise Manager Assistant/Field Sales Clerk for 1 year in the Philippines, and Front-End Cashier/ Customer Service Department for nearly 5 years at local Supermarket Chula Vista, California. Her working experiences helped her increase her customer service skills. 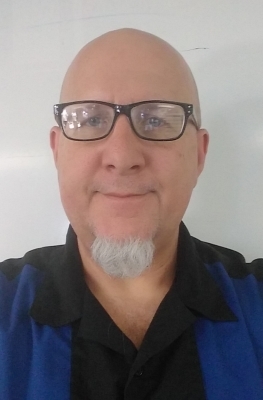 John is an Independent Living Skills (ILS) and Resource Counselor (RC), with specialty with individuals on the Autistic Spectrum, as well as with their familes. John has professional and personal experience with Autism; providing an enhanced perspective on the condition, as well as treatment strategies to assist clients in optimizing independent living skills, and the overall quality of their lives. John, along with Program Director, formulate and implement the structure, vision and direction of TLC Social Services. John has 25+ years in the mental health and social services field, working in crisis houses, outpatient clinics, and in intensive case management. John graduated from San Diego State University, with a B.A. in Social Services; and has completed two years of Graduate School coursework toward a Masters in Social Work. Nenita was a Registered Staff Nurse at Jeddah, Kingdom of Saudi Arabia at the Cardiac Care Unit and Adult-Intensive Care Unit and General Ward/Medical Ward/Adult-Intensive Care Unit for 7 years, where she ensures the personal comfort of patient, families and staff and participates in the development of patient care standards specific to the institute. 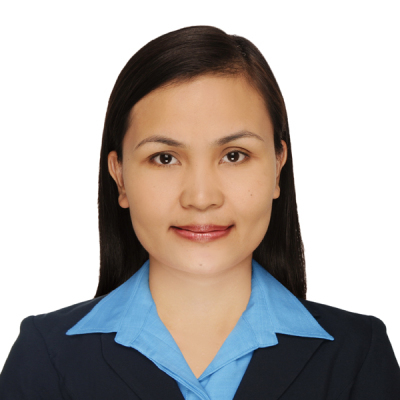 Nenita is a Registered Nurse in the Philippines for 3 years where she maintains good relationships with the colleagues and other hospital personnel and assesses plans, organize and implements direct comprehensive care to varying degrees of illness. Develops a written plan of care that includes discharge planning. Nenita also worked as a Customer Service Provider and Front End Cashier at a local Supermarket in Chula Vista for 3 years. Speaks English and Tagalog. Carla is bilingual (Tagalog/English) and has good communication skills. Her positive attitude made her likeable and easy to get along with. Carla's working experiences are the following; Local Footwear Store where she serves consumers’ needs in store and online, Montgomery High School where she assists children develop their interpersonal skills, and County of San Diego as assessor/recorder/county clerk/auditor and controller-accounts payable. She also volunteered as sports advocate and part of the Lady Aztecs Basketball Team and Little League Basketball Coach. Carla also taught younger peers with different learning skills in a group. With Carla's personal experiences, skills, and exceptional customer service suits her well in the position as ILS Provider and Resource Counselor at TLCSS team. Cynthia is a graduate Pharmacist in the Philippines. She worked as a Caregiver where she took care of an elderly with Dementia and Alzheimer's. She helps prepare food for the client, gave hygiene assistance as needed, reminds the client to take their medication. She also assists client's to and from restroom if needed as well as help them with laundry and cleaning their home. Cynthia is bilingual (Tagalog / English). Cynthia is skillful when it comes to using tools and devises for ambulatory patients like Gait Belt and Hoyer Lift. Standard - CPR / AED (Adult / Child / Infant) Automated External Defibrillator (AED) certified. Norma previously worked as a medical technician and caregiver for several years. Norma was responsible in giving medication to all her clients, assisting someone with their toileting needs and personal care as well as their daily exercise. Norma follows the care plan as directed by supervision nurse. Norie is friendly, customer-oriented individual and has a good communication skill. With her personal experiences as Front-End Cashier and Sales Associate for several years, it helped her attribute good characteristics such as intuitive, responsive, open-minded, compassionate and trust-worthy. Norie possesses the willingness to learn and that is one of the reasons why TLC hired her. Norie thinks switching to a different career that is out of her comfort zone will help her personal growth as an individual. Norie went to Southwestern College, Chula Vista and had acquired GED. Claudia is bilingual (English/Spanish). She is reliable, compassionate, friendly, customer-oriented, and has very good communication skills. She has the “can do” attitude, which makes her personality more a desirable one. She has a record of dependency and assertiveness. With her personal experience as a Customer Service provider for several years, it helped her developed skills such as loyalty to the business as well as towards her customers. Claudia is willing to learn new challenges especially in giving care for the individuals with developmental disabilities. Aia is bilingual speaks both English and Arabic. She possesses characteristics such as courageous, instinctive, jolly, fearless, enthusiastic and is very good in communication skills. Aia is also adaptable and fast-learner. Aia has the willingness to engage in any type of job and is not hesitant to express her thoughts. She feels honored to work for individuals with developmental disabilities. Her working experiences as Curve Fitness Counselor, American Language Teacher Assistant and Health Human Administrative Service Assistant where she assists in advocating, implementating and giving the right response to her client’s needs empowers her to become a dedicated, loyal and compassionate worker. Genesis is bilingual, speaks both English and Tagalog. Genesis is a customer-oriented person, he is prompt and efficient in carrying delegated tasks. He is knowledgeable and proficient when it comes to Microsoft Office, Adobe Photoshop, Graphics Designs and Photography. Genesis is a gentle kind of person, trustworthy, polite, obedient and a zealous worker. 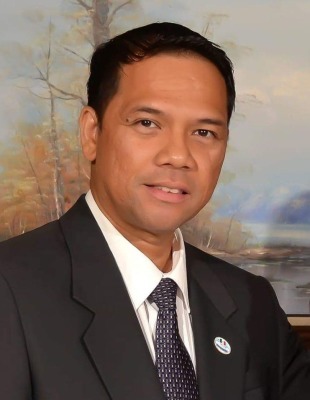 Being adaptable is what makes him able to work in various types of careers, from working in the field of technology to social services was not a difficult transition for him. He enjoys working with people particularly assisting individuals with developmental disabilities. Kathy is bilingual, speaks both English and Tagalog. Kathy is passionate, gentle, positive and kind individual. She is fully equipped when it comes to task delegation responsibilities. With her several years of experience as a customer service provider it helped her become more acquainted when handling diverse individuals. She has passion assisting individuals for their self-development and growth. Kathy is eager to meet various people, specifically individuals with developmental disabilities aiding them in building their confidence, proactivity and becoming a huge part of the community. AB 1432 – California School Personnel and Standard - CPR / AED (Adult / Child / Infant) Automated External Defibrillator (AED) certified. Wafaa is bilingual, speaks both English and Arabic. Wafaa is a very articulate, compassionate, courteous, intuitive, resourceful and highly organized individual. She is also a high-tech savvy person with good communication skills. She can carry delegated task with less to no supervision. She enjoys working with people especially to those individuals who have developmental disabilities. Wafaa believes that making a difference in the lives of others would be a fulfilling job and thought TLC SS will bridge the gap. With her several years of work experiences in the field of Customer Service, it helped boost her confidence in being able to give the best care to individual whose goal is to become independent and productive in the community and society as a whole. Join our fast-growing family and be surrounded with kind, caring individuals who seek to make San Diego better every day.